Each spring, local 3rd and 4th grade students experience California history during the educational tours held in April for 3rd graders and in May for 4th graders. 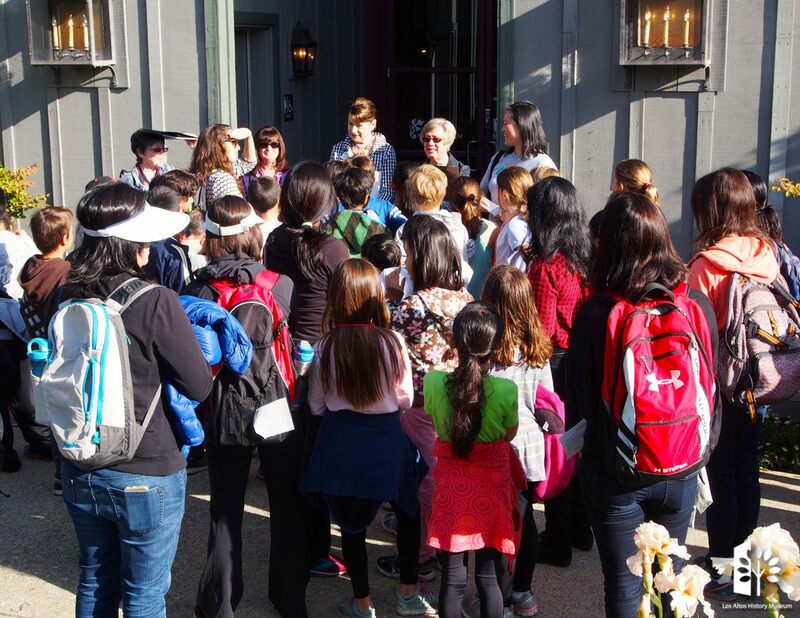 Tours are led by Education Committee members, and continue to receive rave reviews from participating teachers. 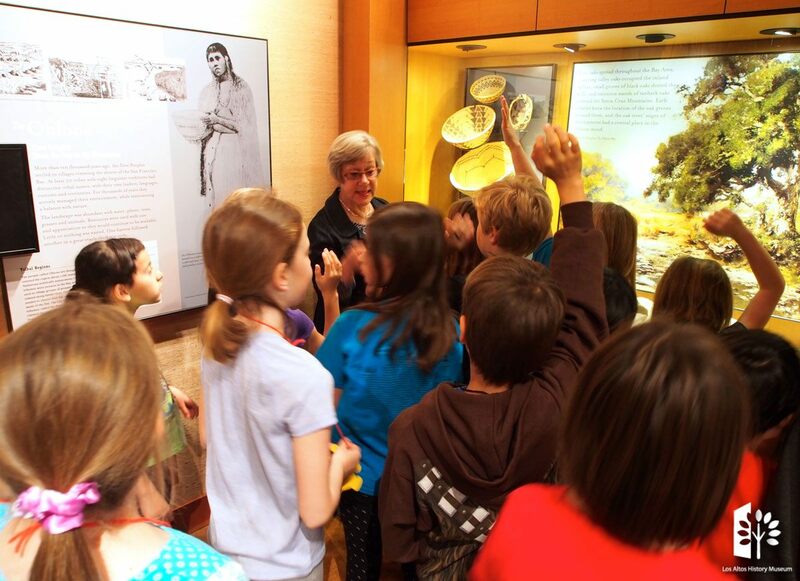 Each tour rotates students through a series of stations where they explore periods in our history. 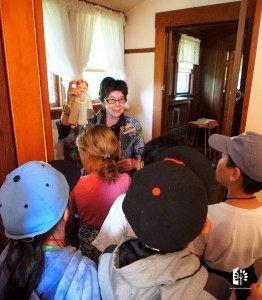 Third graders visit three stations. 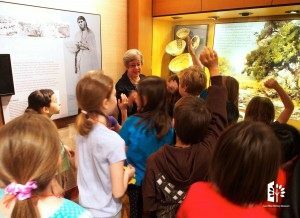 The Museum’s permanent exhibit, “Crown of the Peninsula,” provides the opportunity to learn about local history from habitation by the native peoples up to the founding of Los Altos. Sitting on the saddle of a vaquero brings the Rancho Period to life. Spinning the “wheel of fortune” and choosing a set of dishes or a parcel of land in Los Altos, brings the vision of our founding fathers and the Los Altos Land Company alive. Third graders then enjoy a trip back in time in the J. Gilbert Smith House, where they see the furnishings of a farmhouse in the 1930’s, a child’s room and the toys of “olden days”. The last station is viewing the colorful paintings by local artist, Annie Knapp Fitz, and hearing the stories behind each picture. Each student sketches an “Annie” picture and is able to take a bit of history back to their classroom. 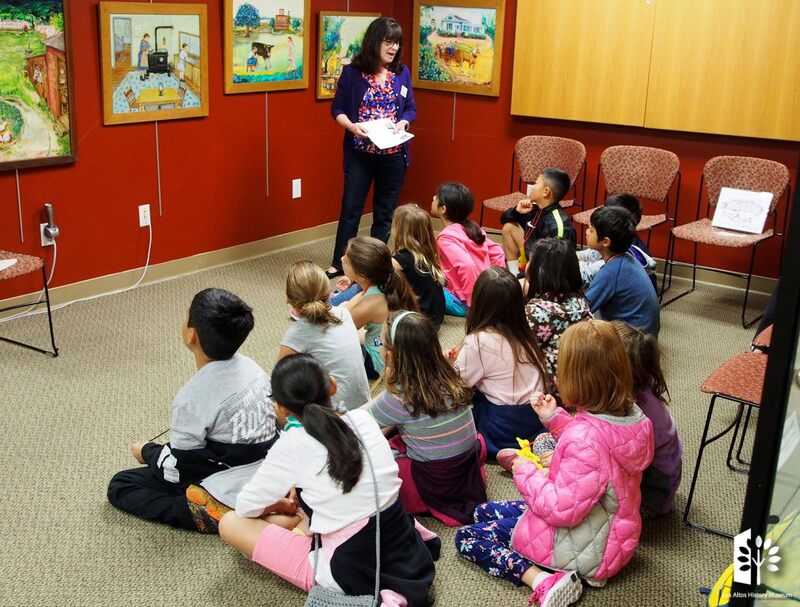 Fourth grade students experience California history through four stations. 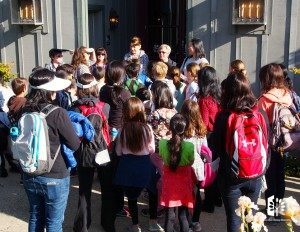 Returning to the permanent exhibit they learn about the explosive growth of Los Altos following WWII and the incorporation of the city of Los Altos in 1952. 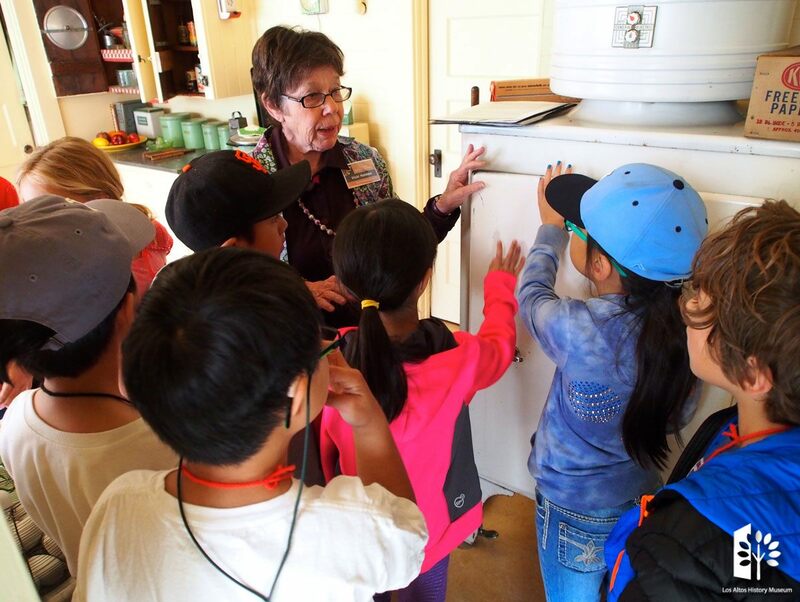 Outside the Museum, they visit another station to learn about two crops that were central to Los Altos in the early 1900’s—apricots and walnuts—and view vintage farm equipment and tools used to help harvest them. The 3rd station takes them into the Los Altos City Council Chambers. Students re-enact an actual 1953 City Council meeting that focused on one agenda item, Ordinance #33. Budding thespians take on the roles of City Council members, City staff, and the audience that attended that meeting in 1953. 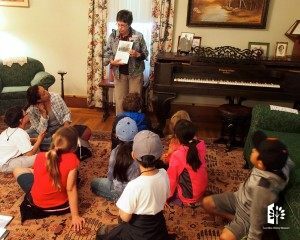 In the last station, students experience Southern California through the “Los Angeles Story: Take Me to the Movies.” Here they learn how the LA basin changed from oil production to orange groves to the entertainment industry. Film clips of old movies, including Abbott and Costello, make for a perfect ending to the tour.